Attention!From 1st January 2015 the European Union changes the tax regulations.Please choose appropriate tax region below. Kinguin - Přihoď, Stahuj a Hraj! Vydělávej 0,40 US$ s Kinguin Mafií! Zjistit víc! Vyžaduje základní hru Crusader Kings II na Steam, aby mohl být spuštěn. Rise up from the ashes of turmoil and anarchy to rule over a land fragmented into petty fiefs. Now is the time to take control. Now is the time for greatness. 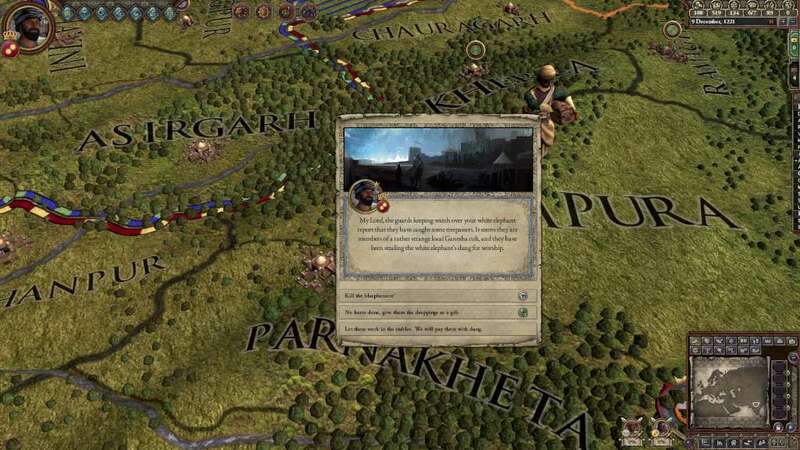 Crusader Kings II: Rajas of India is the sixth expansion for the critically praised strategy/RPG Crusader Kings II and will focus on Eastern Persia and India. 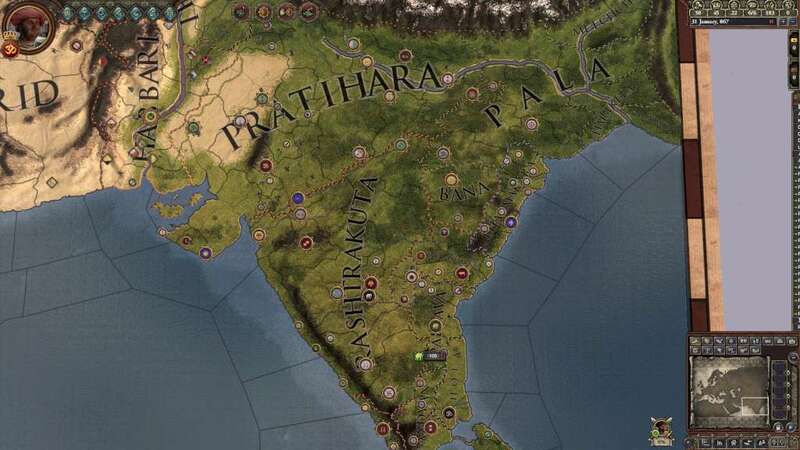 The expansion Rajas of India extends the map to the east, including the entire Indian subcontinent, and allows you to play as a Hindu, Buddhist or Jain ruler. 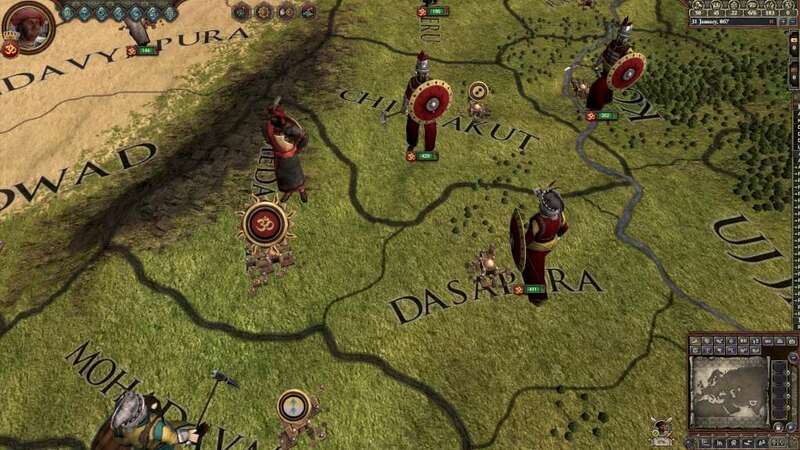 Can you defend Dharma against foreign invaders and bring order to the subcontinent? Rajas of India features twice the landmass of the base game. 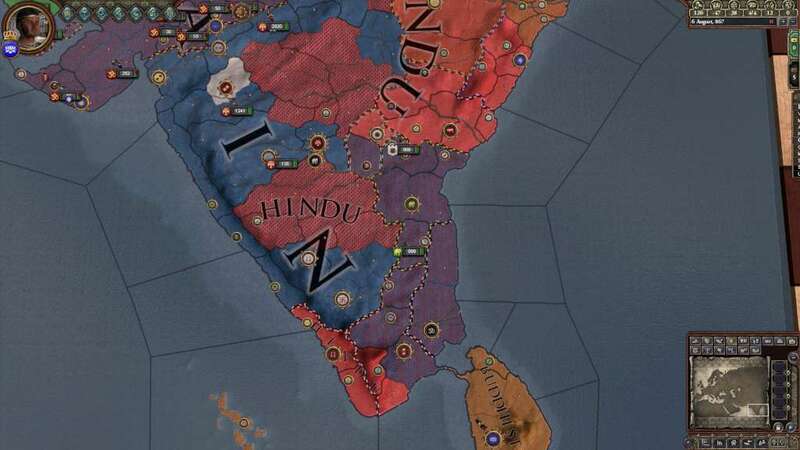 Play as an Indian ruler. 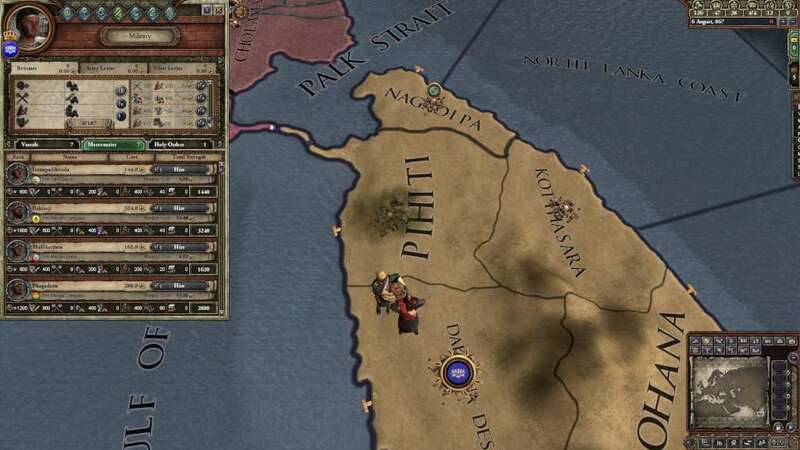 Start a new and quite different type of game by playing as an Indian raja in 867 (if you have The Old Gods expansion) or at any point between 1066 to 1337 AD. Three new Unique Religions. Choose between the Buddhist, Jain and Hindu beliefs for different benefits. Experience Indian Events & Decisions. Hundreds of new Provinces including Central Asia and large parts of Siberia too. Indian characters get a unique set of facial profiles and clothes. 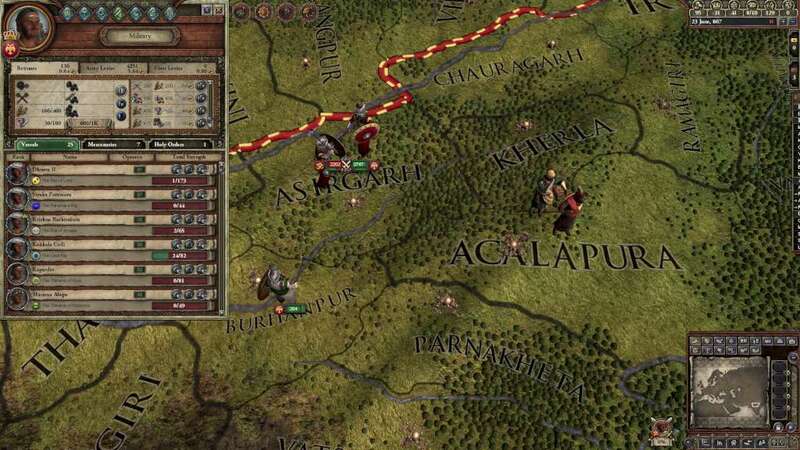 Steam MP Matchmaking and Steam Workshop: These features are brought over from Europa Universalis IV into Crusader Kings II, together with Borderless Windowed mode in the patch together with the release of the expansion. Video Card: NVIDIA® GeForce 8800 or ATI Radeon® X1900, 512mb graphics memory required. > 9600 or higher, 1024MB graphics memory required. Install and start application, login with your Account name and Password (create one if you don't have). Launch Steam and log into your Steam account. Follow the onscreen instructions to complete the process. After successful code verification go to the "MY GAMES" tab and start downloading. © 2019 Kinguin.cz. Všechna práva vyhrazena. Záruka vrácení penězDostali jste random hru a vy ji už máte? Své peníze získáte zpět s KBP. Pokud se rozhodnete dokončit svůj nákup bez KBP, budete muset řešit případné problémy sám. Chcete nakupovat bezpečně?